Credit card hardship programs are a credit card debt relief option that has been used by many consumers in different stages of financial hardship. Offered by many major lenders, these programs help consumers by reducing interest rates and setting a constant payment plan in motion. More often than not, those who use financial hardship programs are able to avoid further financial hardship or bankruptcy. Step #1: Start A Savings Account – I know, having a savings account won’t necessarily help your credit score. However, savings is one of those things that all financially stable consumers has. Credit scores really shouldn’t be your first priority right now, it’s best to think of your overall financial stability first and your credit scores second. So, open a savings account and create an affordable plan that will allow you to make a deposit with every pay check. Step #2: Open A Secured Credit Card – Secured credit cards like the one offered by First Progress are a great way to start building new, positive lines of credit. Your credit score is heavily based on revolving lines of credit like credit cards so, starting positive lines of credit as soon as possible is incredibly important. Step #3: Create A Credit Card Budget – Keeping in mind that you shouldn’t spend more than 50% of your credit limit when using credit cards, think of a credit card spending budget that you can afford to pay off each and every month. Make sure that you are incredibly modest with this spending budget as paying it off monthly is incredibly important. Step #4: Use Your Card – One big mistake that people make is putting their credit cards in their wallet and forgetting to use them. The key here is creating positive, revolving balances if you never use your credit card, you’ll never create any balances. No balance means that you will never be able to show the lenders that you are able to fulfill positive payment habits. Step #5: Pay Your Credit Card Off With Every Pay Check – Making sure that you keep your credit card up to date is important but, making aggressive payments multiple times per month will do something great for you! Therefore, every time you get paid, pay off your credit card. Not only will this ensure that you never pay a dime of interest but, it will also help you to improve your credit score faster! Because everyone has a very unique financial lifestyle, it would be impossible for me to tell you how long it will take for you to get back onto your feet. However, with an aggressive plan, it generally takes about 6 months to a year to achieve good credit scores again. As far as savings and budgeting, that’s all up to you! This is great advice. 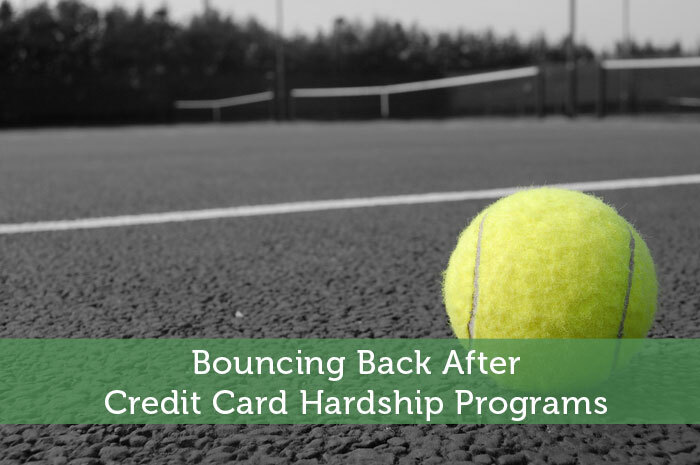 I set up a hardship payoff program with one of my credit cards a few years ago. Not only had I been out of work due to head surgery, but I was also about to lose my job. I did not notice anything negative on my credit report because of this plan, which was great! I’m still planning on using your tips to help me boost my credit score some more. Thanks for your comment. I’m glad that financial hardship programs were able to help you. You are a rare case if it had absolutely no effect on your credit. It generally causes a few point reduction. Nothing major but, something noticeable. Anyway, thanks again for your comment! Really good point made about continuing to use your credit cards. Hopefully the person will have a better sense of how to use it responsibly, but it’s important to continue to have credit each month. Thanks for your comment. It’s incredibly important to keep using them and yes, hopefully those who made mistakes in the past learn from them and move on responsibly! Thanks again! Great tips! It’s really very important for people to have a good plan when it comes to putting their finances in good order. Thanks My Multiple Incomes, I’m glad you enjoyed my work! I think having some money saved up is huge. Otherwise one emergency puts you right back in the hole. Kim, I couldn’t agree more! Thanks for your comment! Credit after all is a system that allows you to spend money that you don’t have. Why on earth would you want to do a thing like that? I can see your point here but, you may need to do that to pay for prescriptions to keep you alive one day. Also, everyone likes to live in a house but can rarely afford to pay for one cash. The bottom line, there are several reasons that having a good credit score is of interest to several but, I can definitely respect your view on credit! Thanks for your comment! In actual fact, you’re better off learning how to use other people’s money properly to improve you own wealth. All good tips Joshua. I know a few people using secure credit cards to build up their credit. One thing I feel is so important is making sure all of your payments are paid on time. Missing just one payment can be all the difference. Loved your point here about financial stability being the priority, not good credit scores. I think that’s SO important when recovering from a heavy debt situation. Great stuff, Joshua!